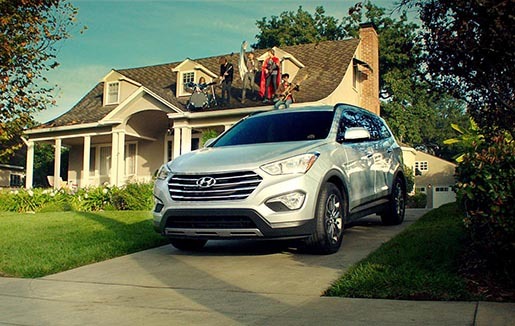 Hyundai has partnered with alternative rock band The Flaming Lips to create “Epic PlayDate”, a commercial first aired during coverage of the 2013 SuperBowl game. Set to Flaming Lips track, “Sun Blows Up Today”, the commercial shows members of the band as part of a family on an unforgettable journey in a seven-seater Santa Fe interacting with giant floating balloon balls, robot costumes, clouds of confetti and more. The Hyundai Epic PlayDate ad was developed at Innocean, USA by executive creative director Greg Braun, creative director/copywriter Max Godsil, creative director/art directors Scott Wilson, Robert Prins, David Mesfin, senior copywriter Nick FLora, director of integrated production Jamil Bardowell, senior integrated production Jamil Bardowell, senior integrated producer Karen McKibben, senior digital producer Melissa Moore, associate producer Brian Searles, account director Bryan Bryan DiBiagio. Filming was shot by director Jody Hill.